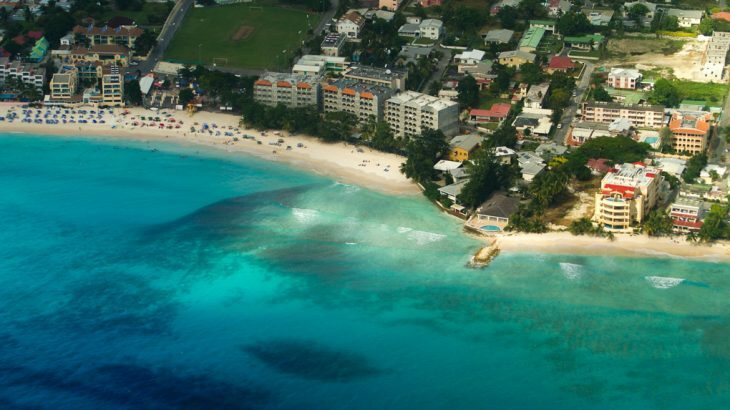 A lively, sun-dappled paradise perfectly suited to relax and rejuvenate, Barbados radiates warmth to all who enter. Shimmering blue water surrounds each beachfront resort and luxury estate that lines the rugged coastline of this Caribbean beauty. 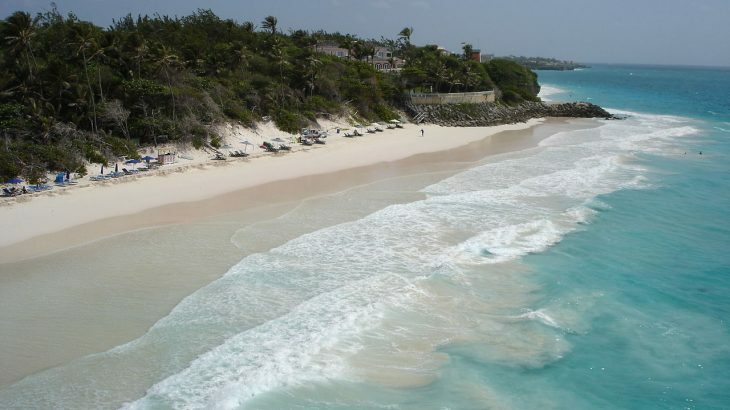 Barbados may not be the largest Caribbean island, but it still boasts over 70 miles of breathtaking beaches. Here are five excellent beaches worth seeking out. Crane Beach is located on the island’s southeast coast just minutes away from the Grantley Adams International Airport. The water here is calm enough for casual swimmers but choppy enough to give boogie boarders and body surfers a few rides and challenges. 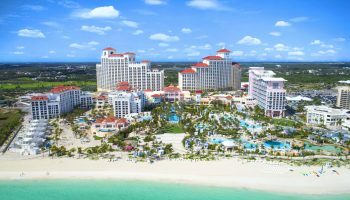 For a relaxed beach day, the soft rosé-colored sands are ideal for lounging and sipping tropical cocktails under the warm Caribbean sun. After perusing the shops in Crane Village, families looking for a casual bite will enjoy D’onofrio’s Trattoria. Couples seeking a romantic ambiance should cozy up to the ritzy Caribbean cuisine at L’azure, located inside The Crane beachfront resort. For access to the public beach entrance and parking lot, drive to the end of a narrow road at the south end of the beach. In the island capital of Bridgetown, Carlisle Bay Beach provides families with calm, swimmable waters and an exciting array of historic sites. 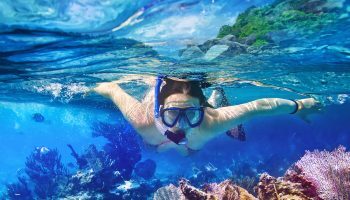 While snorkelers will want to investigate the vibrant reefs and long abandoned shipwrecks tucked below the water’s surface, wading in the shallower water is equally enchanting. 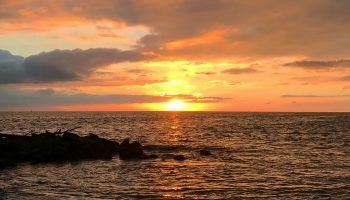 This beach is easily accessible from the main road and the area offers many shops and restaurants, like the exciting Lobster Alive—where the lobsterman snags your lobster fresh from the tank and live jazz music sets a lively tone for the evening. Situated on the southern coast, this expanse of sand and surf is considered by many as one of the most captivating in Barbados. The size makes this a prime location for anyone wanting their own personal space on the sand. Water is calm and ideal for swimmers, but visitors should know there are no lifeguards on the premises. 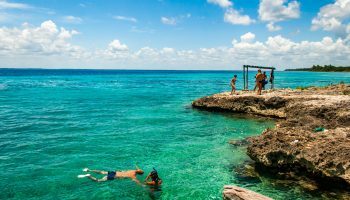 Get to this beach by taking the main road through the nearby fishing village of Oistins— savvy travelers will want to plan their visits on Friday to catch Oistins Fish Fry. What better way to end the day than with affordable drinks and freshly caught tuna, swordfish or lobster, grilled or fried and piled high on a plate with sides? 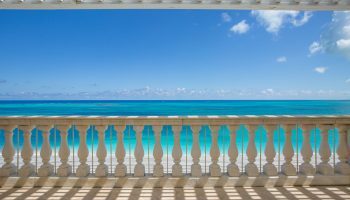 A full day of adventure begins with a trip to Dover Beach, located on the island’s southern coast near Infinity on the Beach Hotel and Southern Palms Beach Club. The surrounding area offers a wide array of dining, shopping and entertainment options destined to turn that quick swim into a day-long, fun-filled excursion. 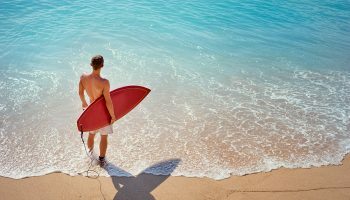 The water here is calm enough to keep worries at bay, while ample beach activities like snorkeling, kayaking or boogie boarding ensure there are lots to do before heading back to town. For a unique and romantic date night, couples should reserve a table at Primo, an upscale, seafood-forward bistro with waterfront views. Follow up dinner with a double feature at the Globe, the only Drive-In Movie Theater in Barbados. For those coming by car, there’s parking right at the beach, which can be reached from the main road. Last, but not least, Alleynes Bay is the perfect stip of golden sand if you’re looking to get off the beaten path (there’s a reason Barbadian pop star Rihanna chose a luxury estate nearby as her on-island residence). One can luxuriate like RiRi when they book beach house accommodations at the Lone Star Boutique Hotel—the hotel’s restaurant makes for an elegant seaside meal or cocktail.